It is impossible to foresee what conditions in any country might be 80 years, or even 20 years, from now. The Model Offshore Trust, being a long-term arrangement, has the flexibility to adapt to changing conditions — even if conditions change abruptly. 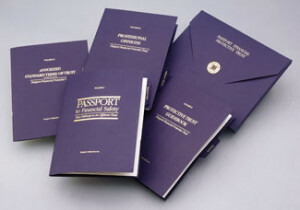 In the event income or other burdensome taxes are ever imposed by the government where the Trustee of your Trust is located, or if any change in law or political system occurs, or any emergency occurs that would threaten the integrity of the Trust, the Trustee is authorized to move the Trust to another jurisdiction. This power permits the Trustee to respond to the kind of unforeseeable events that, in the long sweep of history, can overtake any country — such as war, terrorism, revolution or economic upheaval. In addition, if for any reason the Trustee were unable to act in such an emergency, the Protector would have the authority to change the governing law of the Trust to that of another country and to apply to a court in that country to appoint a new trustee. For additional safety, the Trustee and the Protector can agree that if certain events occur, a particular institution shall automatically become the new Trustee. The triggering event can be anything the Trustee and the Protector agree it should be — even a simple declaration by the Protector that the Trust should be moved to a new Trustee. Your assets will be living in a gated community.